Nirupa Roy was 73 years, 9 months	& 9 days old age. Nirupa Roy was born on 04-01-1931 in Valsad in the state of Gujarat, India. She was an Indian Film Actress who best known for her work in Hindi and Gujarati films. 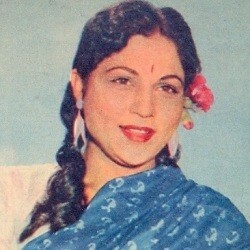 Widely referred to as the “Queen of Misery” in Bollywood, Nirupa Roy is best-known to have portrayed character roles of Indian mother in Hindi films. In her acting career spanning over 50 years, she has acted in over 275 films. She was born as Kokila Kishorechandra Bulsara in Valsad, Gujarat. Her acting career debut was marked with the Gujarati movie Ranakdevi. 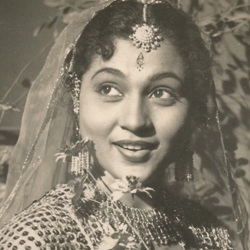 Amar Raj, a Bollywood film of the year 1946 marked her first ever appearance in a Hindi film. In the beginning of her career, she was widely recognized for the portrayal of mythological characters. She played leading roles alongside popular actors like Trilok Kapoor, Bharat Bhushan, Ashok Kumar, Balraj Sahni and others. She is popular for her roles in the movies like Tangewali, Garam Coat, Do Bigha Zamin, Grahasti, Janam Janam Ke Phere and others. Later in the 70’s, she gained popularity for her roles as an impoverished suffering mother. She played the mother referred to in the popular Bollywood dialogue ‘Mere paas maa hain’ by Amitabh Bachchan in the movie Deewar. She is often considered as Bollywood’s greatest Mother of all times for memorable roles in movies like Amar Akbar Anthony, Suhaag, Mard, Gunsundari, Deewar, Muqaddar Ka Sikander, Rani Rupmathi and many others. She received the Filmfare Lifetime Achievement Award in the year 2004. 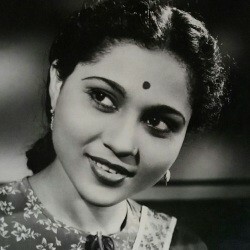 She was the recipient of Filmfare Best Supporting Actress Award in the year 1956, 1962 and 1965. Nirupa Roy also won Best Supporting Actress Award from Bengal Film Journalists’ Association for the movie Chhaya. 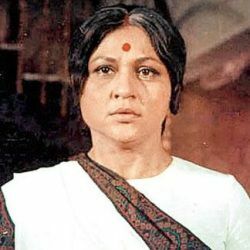 Nirupa Roy died on 13-10-2004 in Mumbai, Maharashtra, India. He died due to a cardiac arrest at age of 73. At an early age of 15, she was married to Kamal Roy. They had moved to Mumbai after marriage, seeking a career on the silver screen. She had two sons named Kiran Roy and Yogesh Roy.